The full product range is available in a bright new store with fit-out by Kindersley Kent. 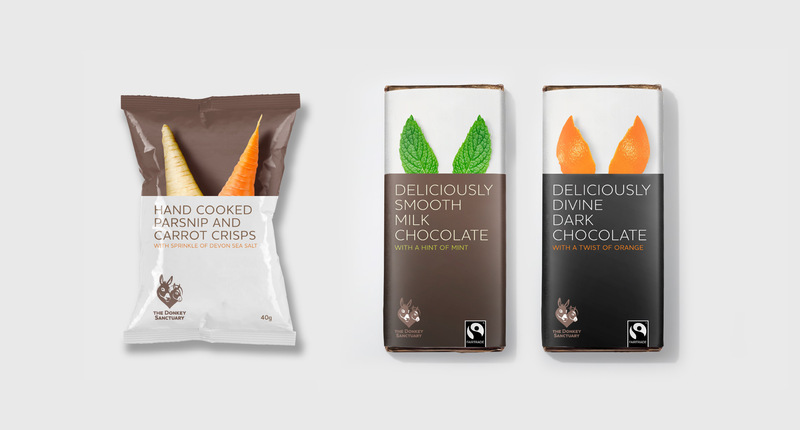 The wit and charm of the brand could be felt across all touchpoints. Wherever possible local produce and businesses created the fresh produce. A sanctuary away from The Donkey Sanctuary. We took the spirit of the charity, and its values, and simply recreated it in another part of the UK. 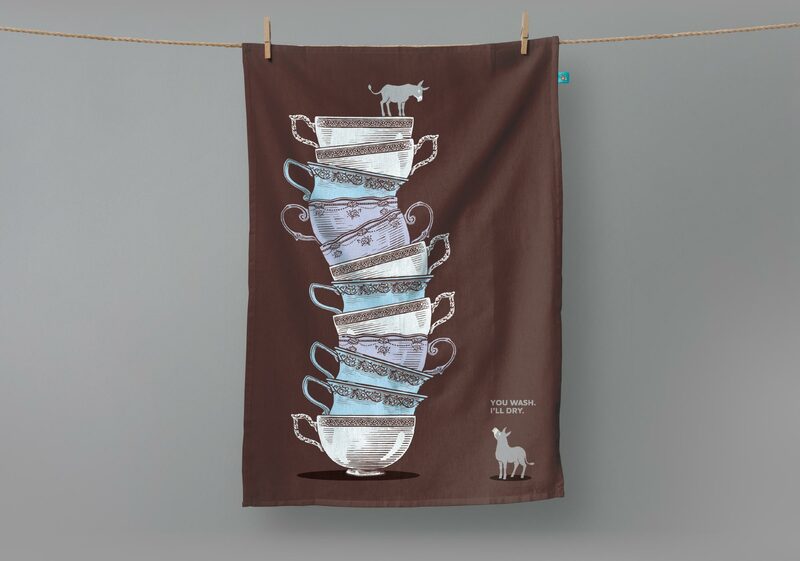 Designed to be lower cost and promote the purpose and work of The Donkey Sanctuary through clever copy linked with each product. Based on this strategy a small range of products were designed, produced and tested in-store and in their catalogue. 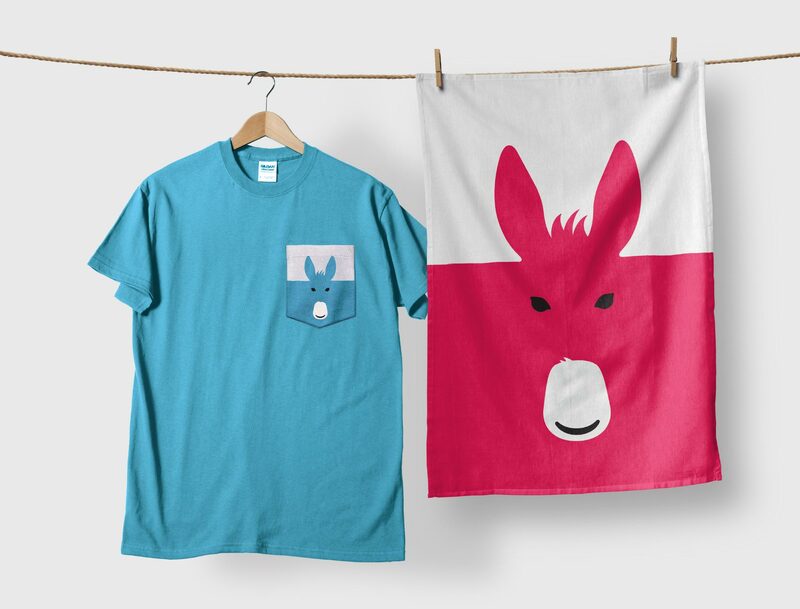 Aimed at donkey devotees and designed to be fun they created a smile by capturing the cheeky personalities of donkeys through bringing the two donkeys in the logo to life via witty interactions with the product itself. 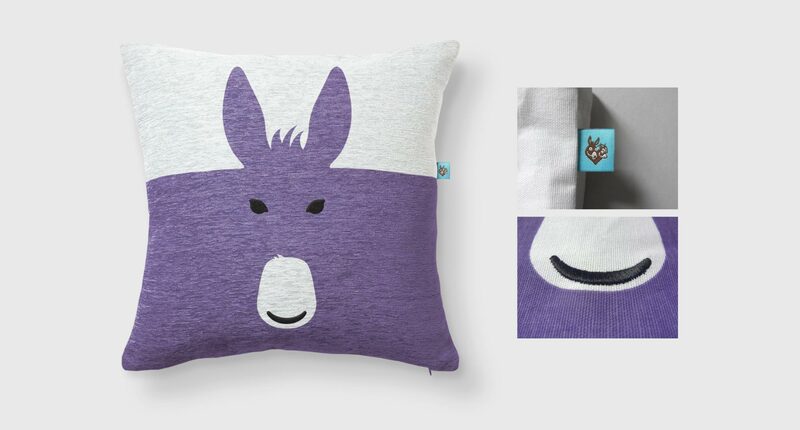 Iconic, contemporary, high quality and at a more premium price point, these are aimed at new and younger audiences and would create a range of cool gifts that would have appeal in their own right and not look out of place in Heals or Selfridges. With a £30+ million income and a devoted donor base of over 30,000, The Donkey Sanctuary is the world’s largest equine charity. 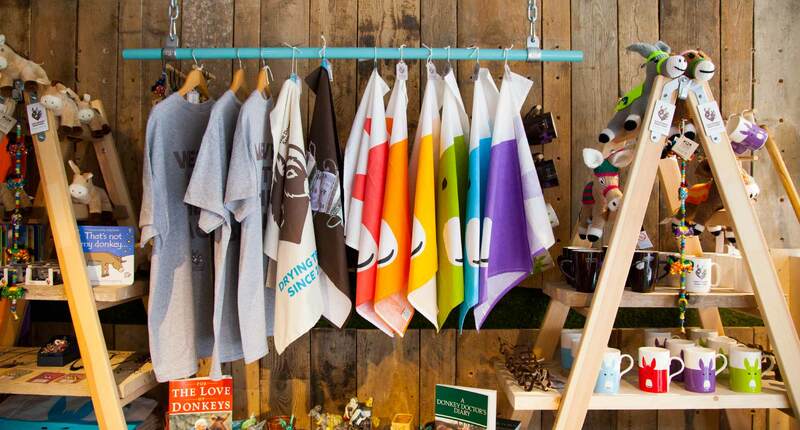 In 2014, they wanted to increase awareness, reach and income by opening a series of charity shops across the UK. 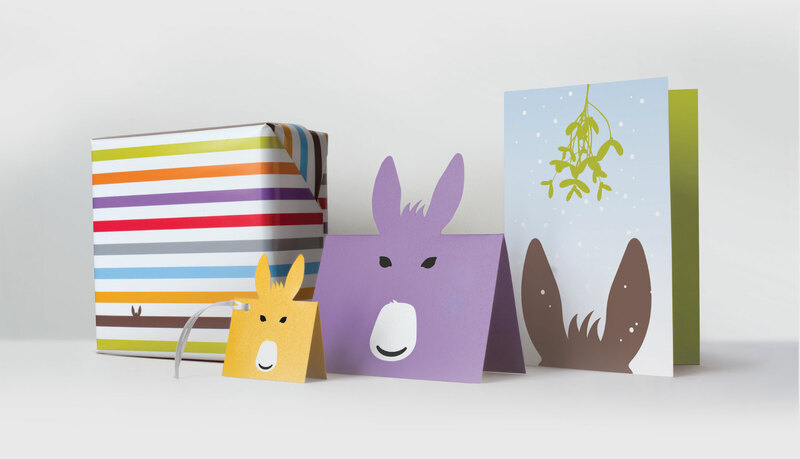 In the past the charity did not have a robust, brand-led product gift strategy. 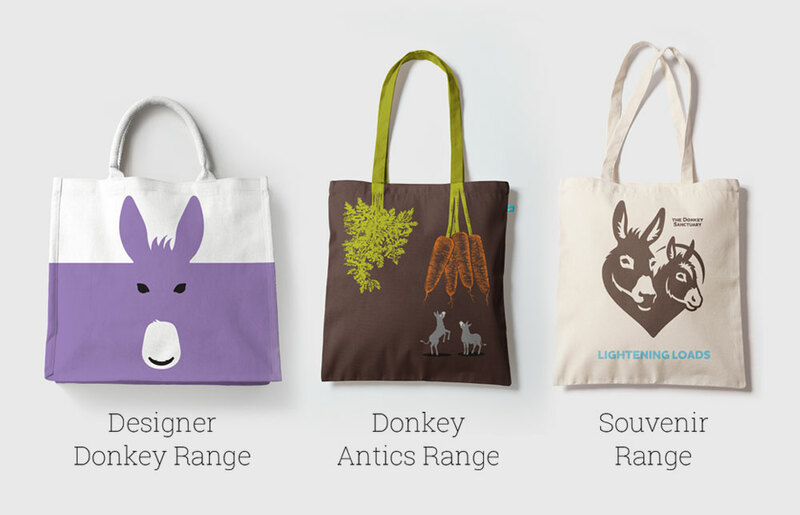 A loose collective of products, branded with The Donkey Sanctuary logo were sold in their shops and through a commercial operation called Donkey World. We were asked to create the strategy, big idea, name and interior concepts for their first shop, which was to open in Otley in North Yorkshire. The idea needed to capture the the spirit and experience of the Sanctuary in Sidmouth and across the UK. 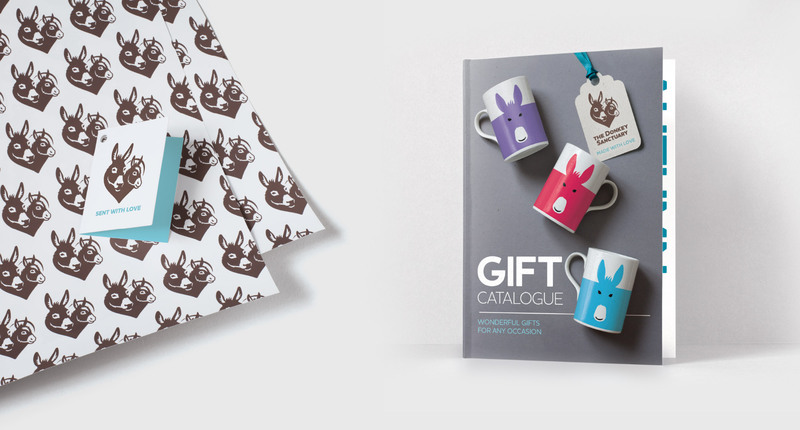 We were also asked to review the charity’s product approach for gifts and recommend a way forward as part of a wider retail strategy that would broaden their reach to younger audiences. We began with the idea of ‘Sanctuary not shop’. 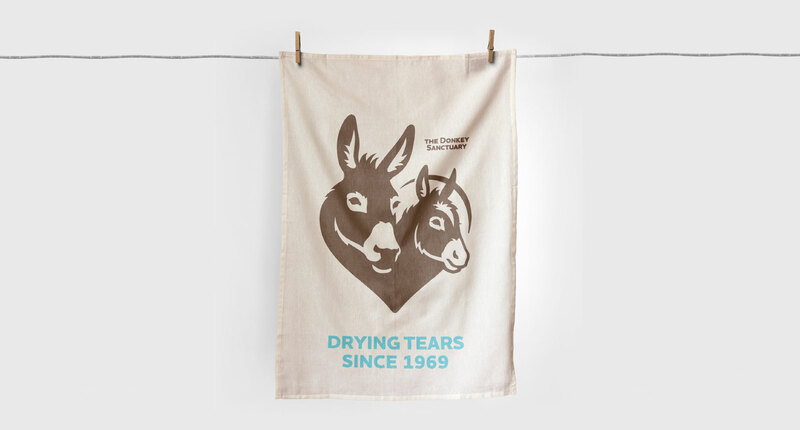 ‘For the love of…’ was the name created for the shop capturing the fact the shops were miniature donkey sanctuaries in their own right, lifting the best-loved experiences and products from the visitor centre in Sidmouth and transporting them to another part of the country. It was all about taking the devotion, loyalty, care and affection, and drawing that through the retail space, even down to how staff were recruited and where and how products were sourced from the local area. We created a go-to destination for the local community, somewhere to get a great coffee, somewhere to purchase something you liked and to know that it was going to do some good. Somewhere to learn about the scale of and type of work done by the Charity around the world every day. In addition, live webcams were fed into the shop from the local Sanctuary in Leeds to connect the shop to the purpose behind the Charity. A key part of our approach was to collaborate with the senior team at The Donkey Sanctuary to learn from their experience. 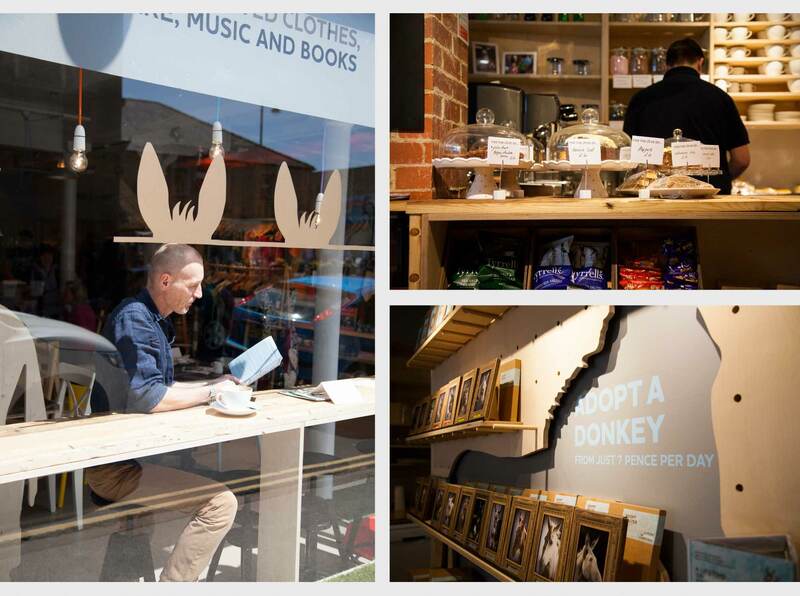 A mix of carefully selected donated goods, branded products, great food and drink in a cafe would deliver the ‘Sanctuary not shop’ concept. 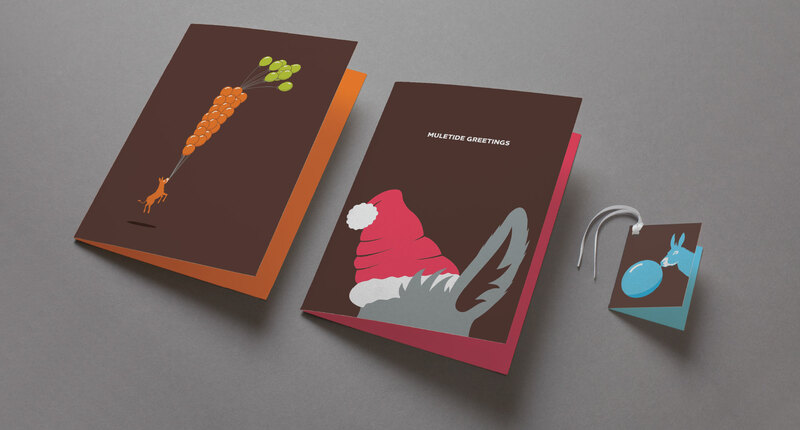 For brand products we discovered that ‘one size did not fit all’ – they needed a range that would appeal to different audiences, for different gifting moments and at different price levels. 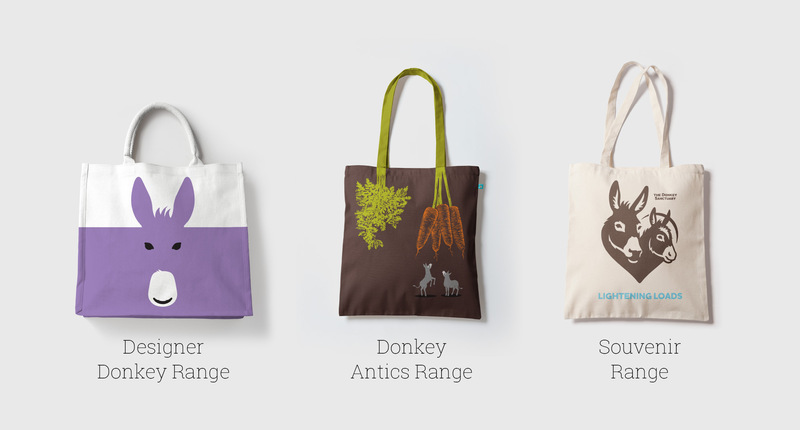 Designer Donkey, Donkey Antics and the Souvenir Range. Based on this strategy a small range of products were designed, produced and tested in-store and in their catalogue. The shop has been a great success and a test bed for the concept with more stores planned soon. Although we can’t reveal figures, sales are remarkable. 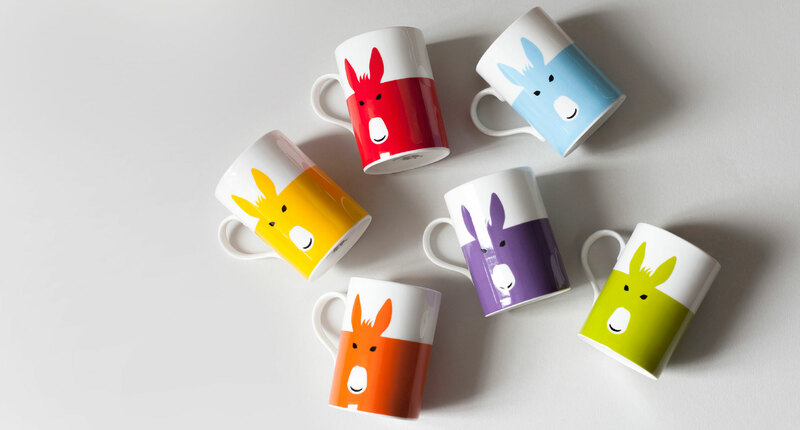 In almost all cases the initial stock sold out in weeks both online and in their shops. 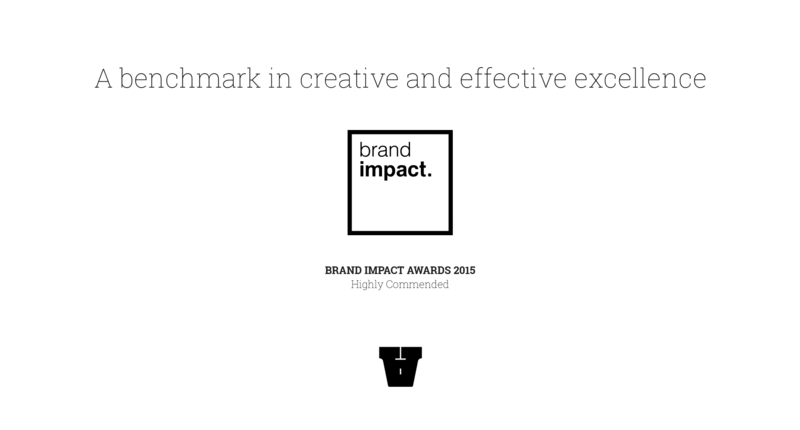 The ranges are now being expanded and are expected to make a significant contribution to the Charity’s income as a wider online and off-line retail strategy is developed. There are an estimated 10,500 charity shops across the UK today. 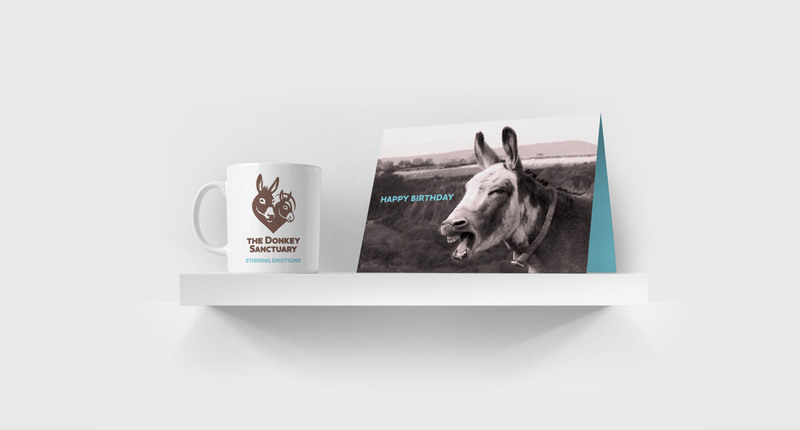 The Donkey Sanctuary wanted to create a new experience and blueprint for its first charity shop, planned for Otley in North Yorkshire. 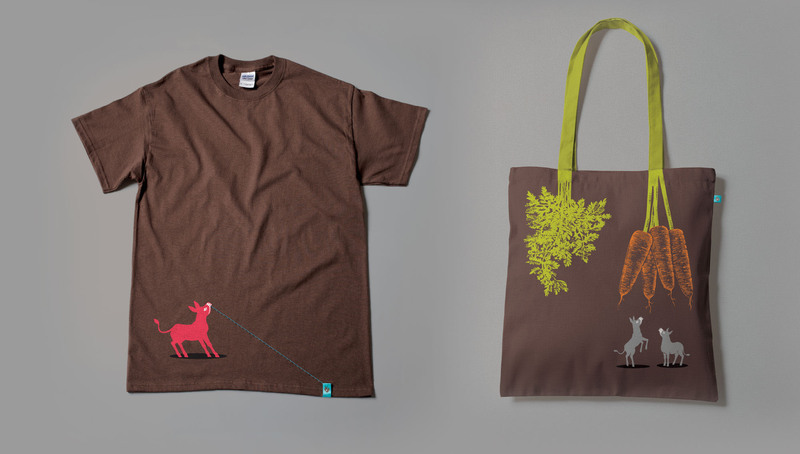 How do you capture the spirit of a brand as an in-store experience and across a new exciting range of branded products? 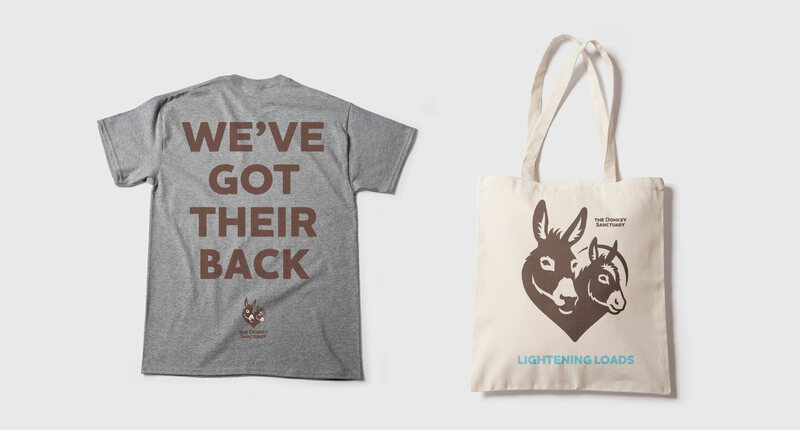 How do you make the experience memorable and unite the local community around a brilliant cause like The Donkey Sanctuary? Here’s how we rebooted the charity shop experience to create a sanctuary for local people and place where they can do good, and feel good, while buying some lovely new or used goods.